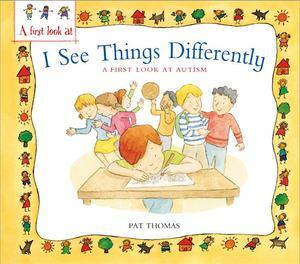 This reassuring picture book explains what autism is in simple terms, helping children with siblings or classmates with autism understand what everyday life feels like from a child with autism's perspective. The superb A First Look At series consists of a number of information books that give advice and promote interaction between children, parents, and teachers on a wide variety of personal, social and emotional issues. They are excellent tools to encourage classroom discussions.